How now, weblings? Hanna has been holding down the fort while I keep my head down to write for school. Things are Coming Along, but I still have many miles to go before I sleep. This is a quick break before the week begins in earnest. 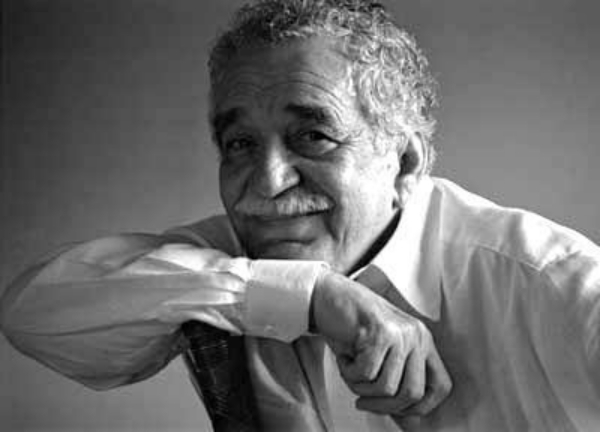 I’m currently reading Love in the Time of Cholera to mourn the death of Gabriel Garcia Marquez. My copy was a birthday gift from my folks on my 20th birthday, so it’s basically been on my TBR for nearly a decade. I regret that I waited this long to read it, but wonder if that might somehow be appropriate for the occasion. “Give it to me,” she said. …She raised the embroidery frame so he could put the letter on it, for she could not admit that she had noticed the trembling of his fingers. Then it happened: a bird shook himself among the leaves of the almond trees, and his droppings fell right on the embroidery. Ah, the humiliation of young love. 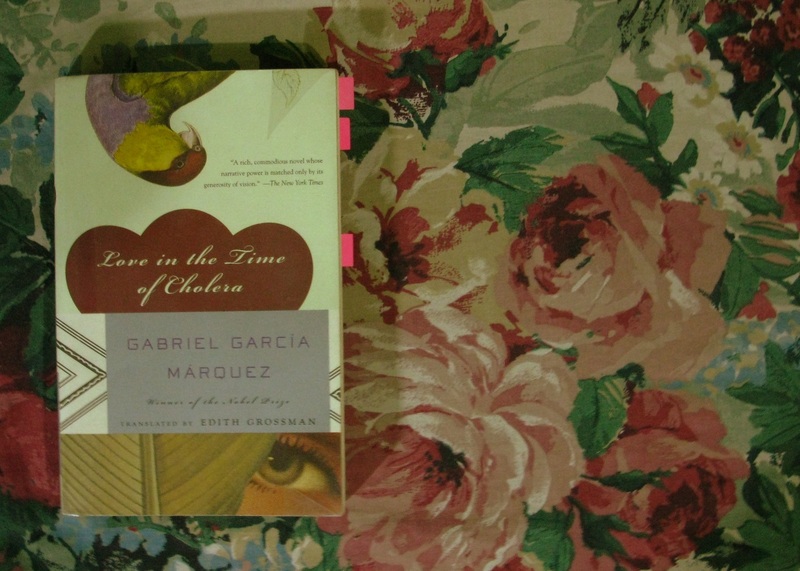 I am completely won over when it is finally pointed out that “the symptoms of love [are] the same as those of cholera.” I’m reading slowly – a chapter at a time – for fear that my pre-occupied brain will miss something. 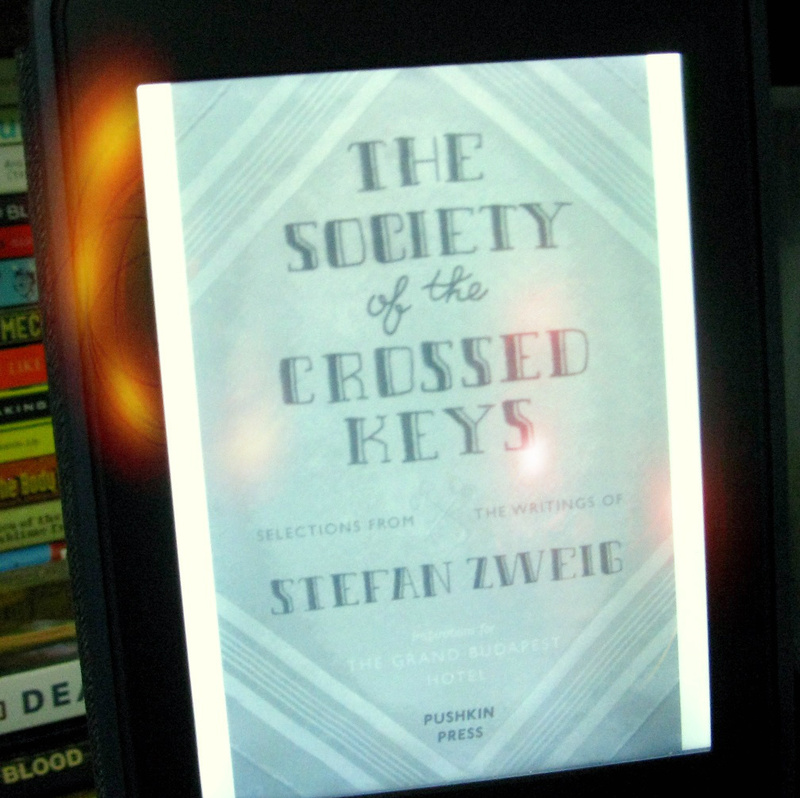 On Ender (my Kindle), I have The Society of Crossed Keys, a collection of Stefan Zweig’s writing that served as the inspiration for Wes Anderson’s most recent confection The Grand Budapest Hotel. 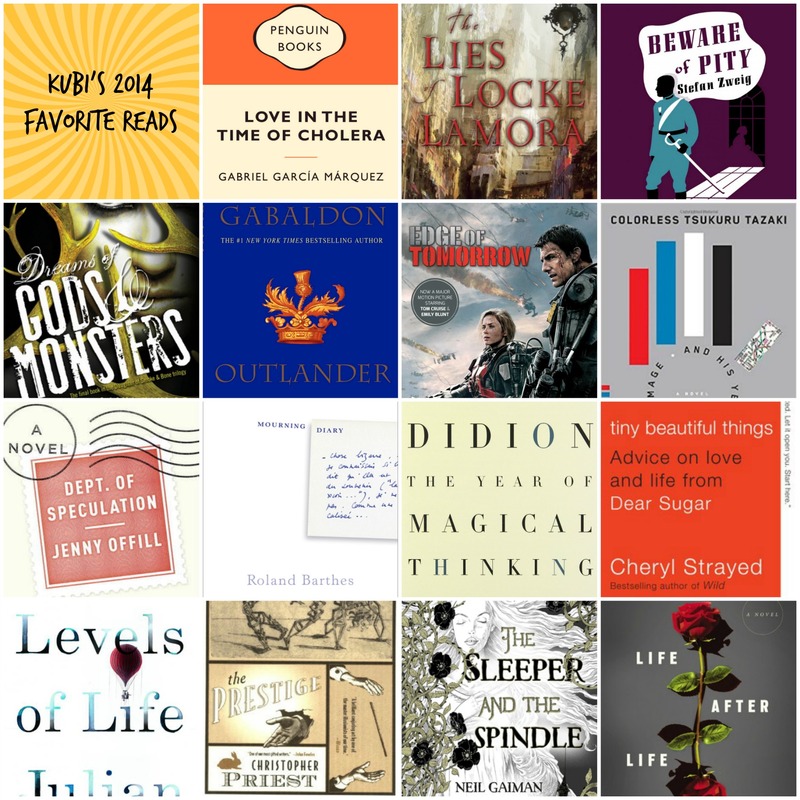 Since I last wrote here, I finished The Year Of Magical Thinking by Joan Didion, Dreams of Gods and Monsters by Laini Taylor, and Tiny Beautiful Things: Lessons on Love and Life from Dear Sugar by Cheryl Strayed. 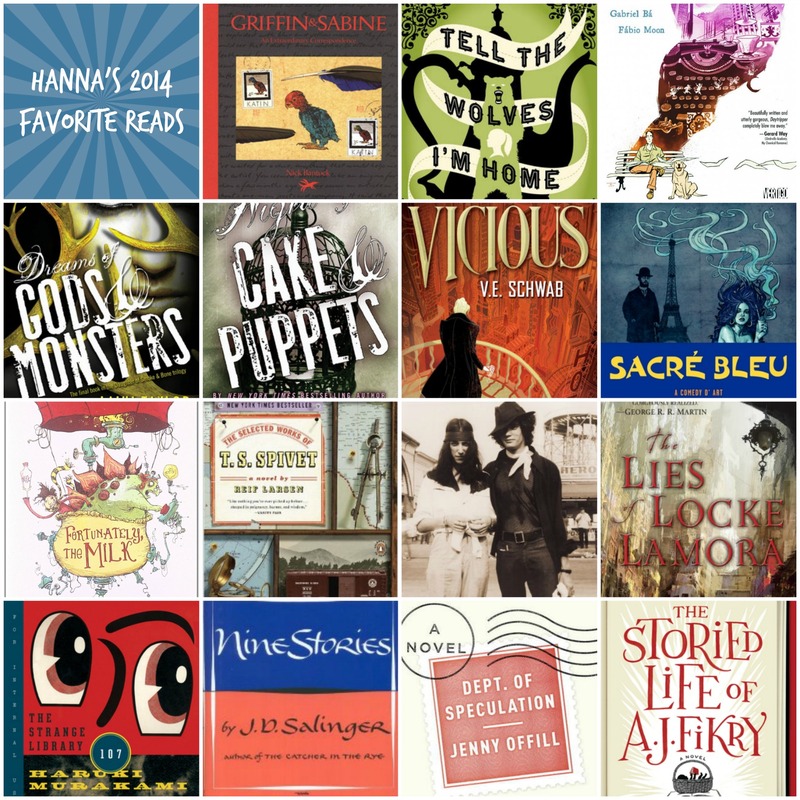 One of these days, I’ll write a special post just for these books because they proved me wrong when I was sure I would never finish a book again. They each struck a chord in me, and I want to hear the rest of the song. 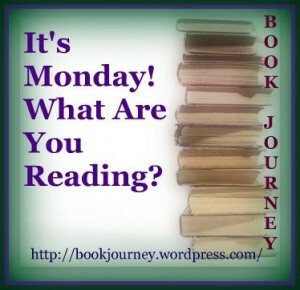 Case Histories by Kate Atkinson: I give the woman love whenever I come across her books at the store. It’s not yet a full-blown operation, but yes, it seems I’m procuring her entire oeuvre. That’s just how much I love Life After Life. Torch by Cheryl Strayed: I’d been thinking about this book since finishing Tiny Beautiful Things, and ended up finding it in a used bookstore this weekend. 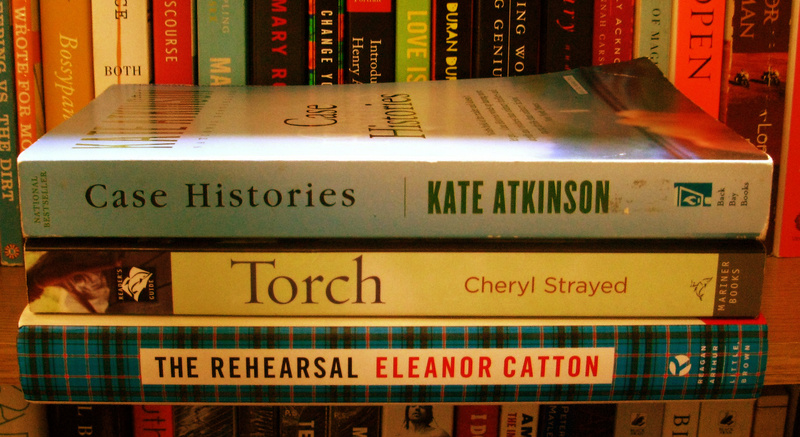 I also own Wild, so I definitely have a lot of Cheryl Strayed in my future. The Rehearsal by Eleanor Catton: When a girl my age wins the Man Booker Prize, it is practically a given to obsess about her. I want to give her debut a shot before I even attempt her epic The Luminaries. Last week was a blur of days spent sifting through piles of work, frolicking outside to thwart the evil forces of the sun, catching up on sleep, stocking up on snackage, hanging out with the crazy mother before she flies back to work, discovering a shared obsession with the cousin, and preparing a feast for the senses for the father’s birthday. 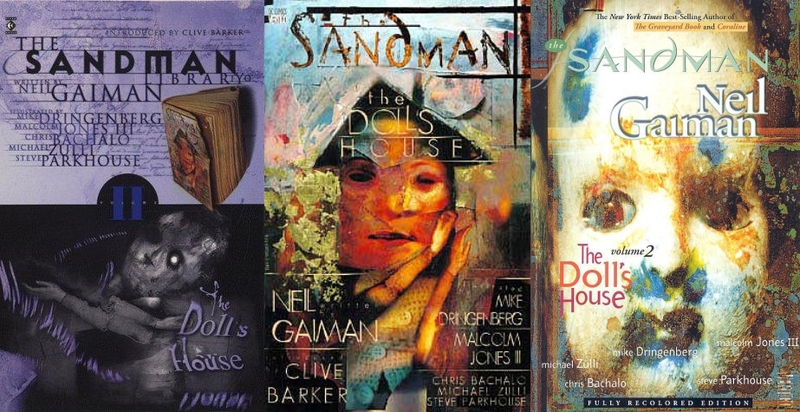 As for my reading exploits, I have just finished reading The Doll’s House, which is the second volume in Neil Gaiman’s The Sandman. I have to say that I’m really glad that I started re-reading this series. I devoured it when I was still a little bit too young, but my mind was blown in every way possible. Reading it slowly this time around made me appreciate everything about it even more. It also reinforced my adoration for Gaiman’s work and the crazy inner workings of his twisted mind. 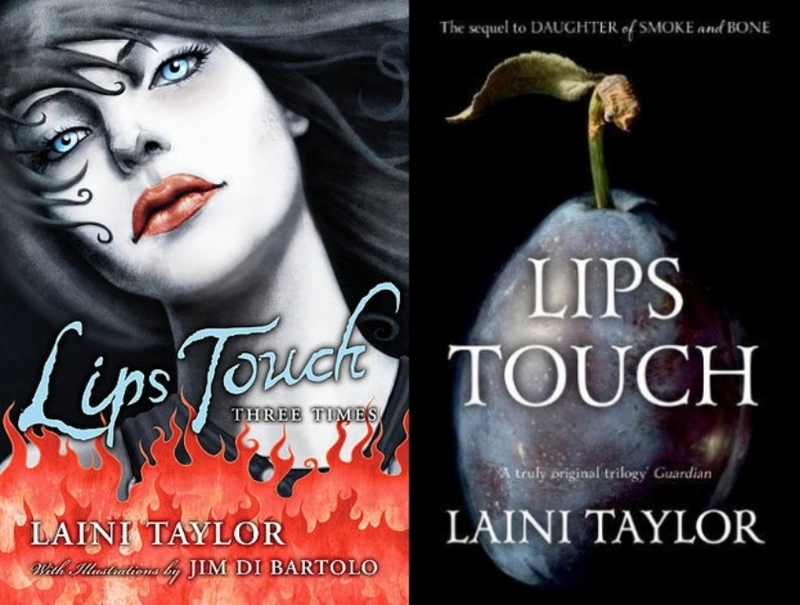 Reading Laini Taylor’s Lips Touch: Three Times was a heady experience. I am absolutely in love with her prose, and her use of words and description is sheer genius. It’s a collection of two short stories and a novella, which revolve around a kiss. This book was enchanting, and I savored every word of it like relishing a piece of the best damn chocolate in the entire universe. There is a certain kind of girl the goblins crave. You could walk across a highschool campus and point them out: not her, not her, her. The pert, lovely ones with butterfly tattoos in secret places, sitting on their boyfriends’ laps? No, not them. The girls watching the lovely ones sitting on their boyfriends’ laps? Yes. The goblins want girls who dream so hard about being pretty their yearning leaves a palpable trail, a scent goblins can follow like sharks on a soft bloom of blood. The girls with hungry eyes who pray each night to wake up as someone else. Urgent, unkissed, wishful girls. Oh, it was wonderful and absolutely delicious. The other two stories, Spicy Little Curses Such As These and Hatchling, were marvelous and breathtaking, but it was Goblin Fruit that really made an impression on me. Each story also featured beautiful illustrations by Jim Di Bartolo, who made the stories come alive. 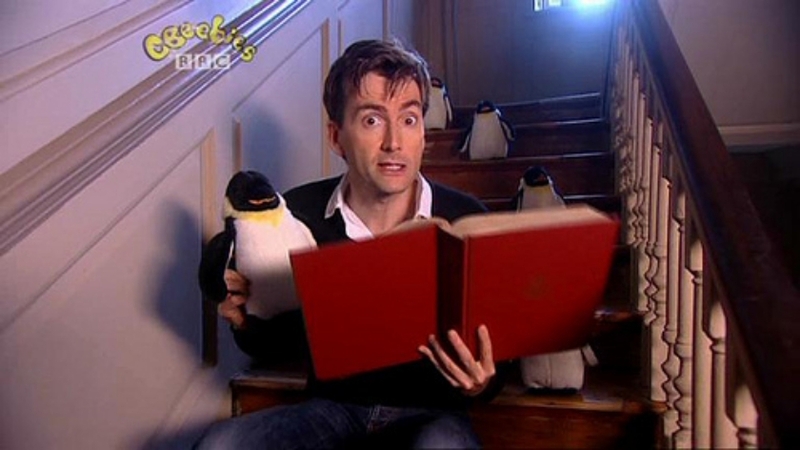 Have a lovely reading week, duckies.